The sculpture was designed by my assistant Geoffrey and built by my assistant David over the course of 140 hours. David says, "I'm the fanciest man in fancytown!" 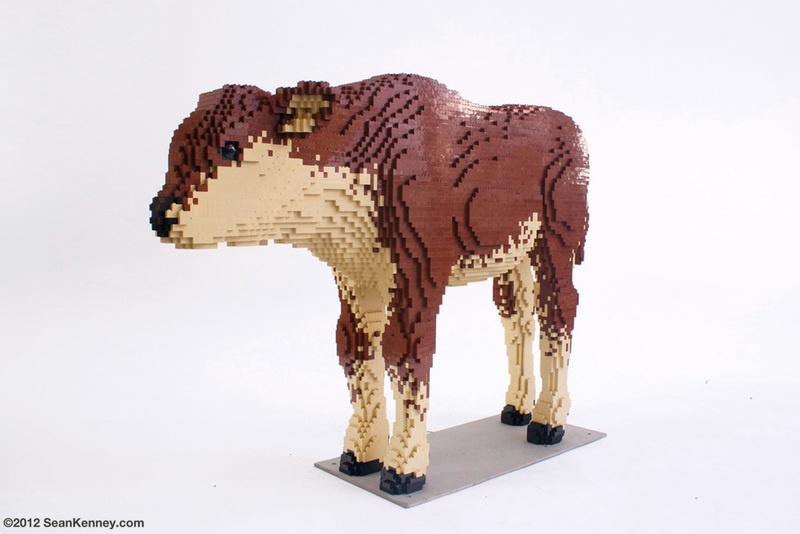 To help withstand high winds and overly-curious visitors, each LEGO piece is glued one-by-one and a steel armature helps keep the sculpture secured to the ground.